All three Etudes included in this recording. The Polonaise playd during the concert in 1953. This is an excerpt from movie: "The Art of Piano, The Virtuoses and their public" - it contains comments and a short part of the interview with Rubinstein himself. Recorded in 1963. 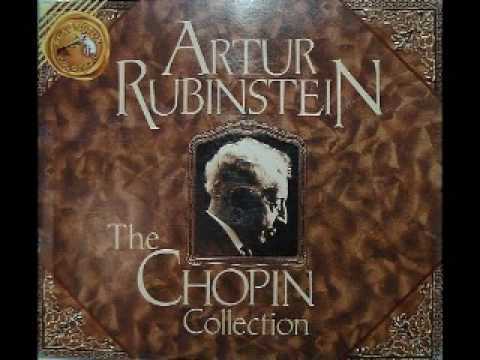 Rubinstein decided to play the waltz as Chopin composed it not from the Fontana edition. In this recording there are noticeable differences between the orginal autograph and the Fontana version.